Buy Printer Epson Stylus Photo R800 with CISS and make 30 times more quality prints for the same money! Photo printer Epson Stylus Photo R800 is designed specifically for professional photo printing, though the offered new product may also interest amateur photographers greatly. Therefore, this device, implementing the latest technological advancements of the Epson manufacturer, meets the requirements of even the most demanding users. Due to its small, compact size the device will perfectly fit any interior, as a small office as one's home. The printer provides the highest quality of prints, both color and monochrome ones. 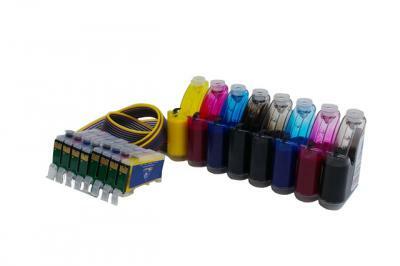 The printer is equipped with eight-color printing system that renders the widest color spectrum. Among a set of colors the printer has blue and red colors. This allows you to produce vibrant, permanent photos with sharper transitions of colors. Due to these colors, the pictures come out as accurate as possible, and the color shades are perfect. The droplet size in Epson Stylus R800 is very small вЂ“ only 1.5 pl. Due to ultra-low drop volume the detailing of both color photos and black-and-white images is amazing. Stunning realistic printed photos! Also we recommended the similar inkjet printer of the same series inkjet printer Epson Stylus Photo R2000. 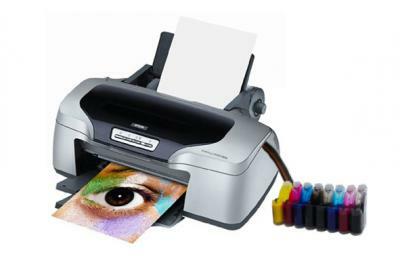 This inkjet printer is simply irreplaceable as in a professional studio as at home minilab. The device can work with a variety of carriers. You can even print on roll paper and CDs. You can create borderless photos. You do not have to use a larger paper or trim white edges вЂ“ the device will take care of your convenience! In addition, you can print on various types of CD: CD / DVD / MCD. It is important to check that the disc has a special surface for inkjet printing. The company first used the red and blue dyes in this printer. Due to this the device uses a wide color range. Just try to compare the pictures of sea, sky, sunset, printed on your printer and any other printing device вЂ“ you'll be amazed with the enormous difference! So the printer Epson R800 has the deserved title of the "Best Inkjet Photo Printer". In its system epson stylus photo r800 printer the photo printer has not only two new colors, but also 2 black ones. This optimizes the printing on various media. One kind of black color delivers excellent printing quality on glossy paper, and the second one is ideal for photo paper. Matt black color is absorbed less by paper so it provides high definition and saturation of images. Another perfect in quality inkjet printer that has the same functionality is Epson Stylus Photo RX690. The following pages represent the printer Epson Stylus Photo R800 with the preinstalled ink supply system, which you can order right now. Why we recommend you to choose a device with a preinstalled CISS? Because it is a ready solution not only for high-quality printing, but also for significant savings from your budget. From the first moments of working with the printer you may obtain photos as color so as black and white ones not only of professional quality but with minimum costs. 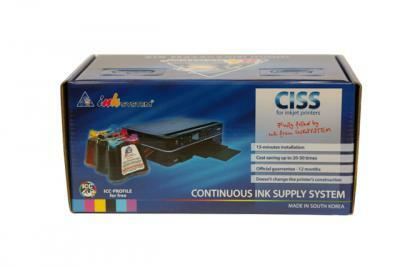 Print with quality and economically from the first day of purchase of this inkjet device!